A recent newspaper article noted that the majority of content streamed by Netflix are no longer movies but productions that originated on television. My own recent Netflix viewing experiences bear this out, with many of my new favorite programs resulting from my ability to sample shows on Netflix. 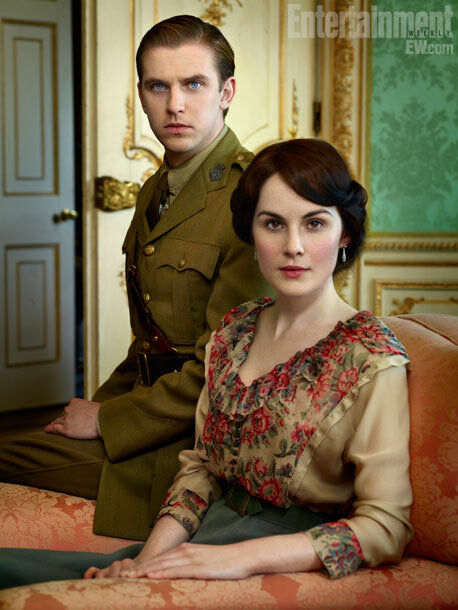 First up: Downton Abbey. The second series is currently airing on PBS through February 19, though the review below is primarily for the first season which I watched on Netflix. The international hit PBS show, Downton Abbey, was barely on my radar when I first encountered it on Netflix. Vaguely recalling articles about it, I decided to check it out and was immediately hooked. 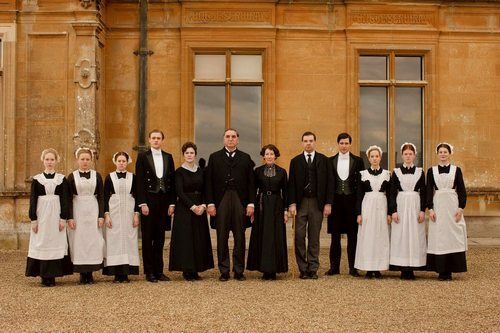 Essentially an update of the classic series Upstairs, Downstairs and set at the turn of the 20th century, this period drama portrays the intertwined lives of the fictional aristocratic Crawley family, headed by the Earl of Grantham and his rich American wife Cora (played by Elizabeth McGovern), and their downstairs staff. 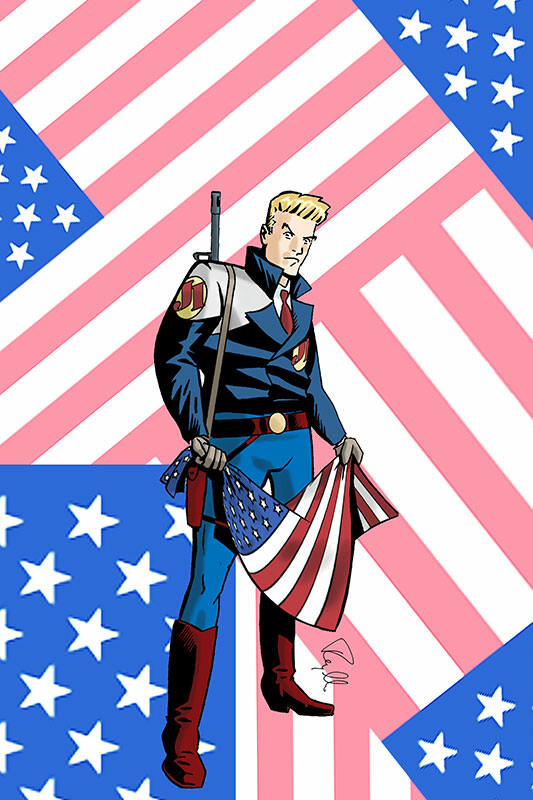 The show, which originally was produced and aired in the U.K., has been a huge success internationally and one of PBS’s biggest hits ever. The period costumes and the insider’s view of the English class system at the turn of the 20th century from the view of both the privileged and those in service no doubt has played a big role in the show’s success. But it is the writing, characters and drama that have captivated a devoted and obsessed audience. My favorite storyline includes the star-crossed romance between the eldest daughter Mary and her distant cousin Matthew, whose story kicks off the series when the original male heirs to the family fortune are lost on the Titanic, throwing the future of the estate into uncertainty. The headstrong Mary at first resists her family’s suggestion that she pursue Matthew to ensure her financial security and social standing. Like any normal daughter, Mary resists the suggestion, viewing Matthew as an undeserving interloper who is beneath her and unworthy of her consideration. For his part, Matthew initially assumes Mary to be a spoiled snob. Over time, however, the two find themselves attracted to each other—the cold and steely Mary, in particular, must first come to terms with truly falling in love (perhaps for the first time), with a man her parents actually approve of when all such romantic considerations were perviously driven by self-interest and mercenary factors. The affection and unrequited love between the two—filtered, of course, by classic British reserve—particularly roped me into the series. In classic cliffhanger fashion, their love affair was left unresolved at the end of season 1, which no doubt partly led to the announcement of the second series, which just concluded airing on PBS. Numerous other stories, both large and small, play out through the series, set against the larger backdrop of a class system that was on the verge of extinction, though not just yet. The start of World War I in 1914, which closes the first series, was one of the first major sea changes that brought an end to the system—a system that continued to decline until around the start of the next world war. 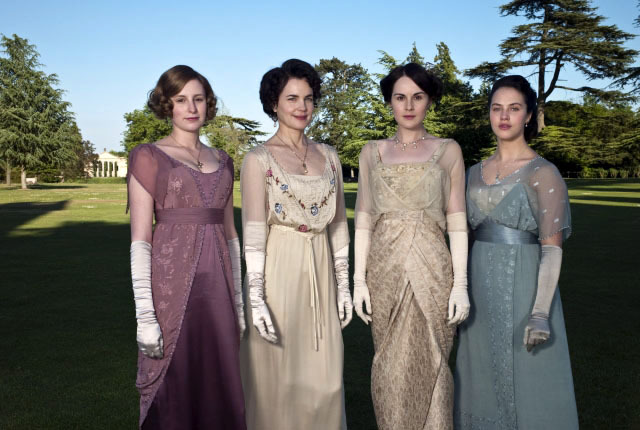 To be sure, there is nothing especially groundbreaking or innovative in Downton Abbey—indeed, its creator and writer, Julian Fellowes, who also wrote the Oscar winning screenplay for Gosford Park, acknowledges that the show reflects a personal nostalgia for this earlier time. Some have dismissed the show as nothing more than melodrama or, worse, soap opera—personally, I have felt this to be especially the case in the second series, which seems to have really amped up the melodrama. Indeed, in its second season, the show has felt downright Dickensian in its twists and turns (a tone which is not entirely inappropriate for this show). But my investment in the characters and storylines of the first series easily carried me through the second, which ended strongly. A third season is now in the works, with Shirley MacLaine recently announced as a new addition, as Elizabeth McGovern's character's mother. She is a brilliant compliment to Dame Maggie Smith, who has stolen nearly all the scenes she has appeared in, as the Earl of Grantham's mother, Violet Crawley, the Dowager Countess of Grantham. 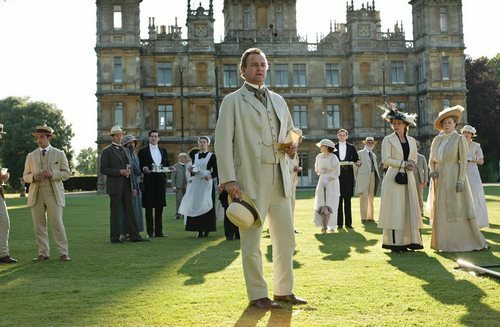 Melodrama or not, Downton Abbey shows that when done with skill and high production values—matched by solid storytelling and engaging characters played by strong actors—audiences will respond. If there’s a common thread to the biographies of high achieving individuals like Steve Jobs, it’s that they’re ambitious, driven people who exhibited their gifts and independence at an early age. Whether it’s the biography of an artist, entertainer or business executive, it’s clear many of these people would have found success in some way. And like a lot of bigger-than-life figures, Jobs was a mass of contradictions. He considered himself a humanist/Buddhist, but could be incredibly insensitive, cruel and manipulative. And like many people operating on such a different plane, he had his share of quirks, bordering on obsessive-compulsive. Throughout his life, for example, he followed extreme diets that included extensive fasting and eating only specific kinds of foods—like apples—for weeks on end. For a Buddhist, he held a surprisingly black and white view of the world, often passing judgment on products as “crap” or the best ever, with no middle ground—opinions that he sometimes reversed shortly after. Nevertheless, it can’t be denied Jobs was a man of vision. The biography of Jobs, of course, parallels the rise of the personal computer industry, which makes Isaacson’s book particularly fascinating. Jobs was among the first to see the personal computer as a consumer product for the masses. However, unlike his peers, he also saw the computer as a means of personal expression both for himself and the end user. He sought to fulfill this through a personal devotion (some would say obsession) to design, simplicity and elegance. This began with the introduction of the WYSIWYG/mouse interface, which was adapted from technology developed by Xerox, an innovation that few people—including the executives at Xerox—saw no value in until Jobs showed them through the first Mac. Jobs focus on completely controlling the user experience, however, led to Apple losing the first round of the computer wars—his refusal to license out Apple’s operating system opened the door to the rise and predominance of PCs, Windows and open source. Jobs stubbornness, along with his lack of maturity and diplomacy, eventually led to his ouster at Apple. In the wilderness, he developed NeXT computer (which would later be partly absorbed by Apple) and Pixar, purchasing the latter from George Lucas. Along with NeXT, his experience at Pixar formed the second act of his career. Pixar was initially a company that sold animation hardware and software. Its creative staff, led by John Lassiter (now the chief imagineer at the Walt Disney Company), was initially charged with creating work that showcased Pixar’s capabilities. Soon, however, thanks to Lassiter’s genius, which Jobs quickly recognized, and Jobs’ foresight, animation production became its main focus. It’s a tribute to Jobs’ respect for Lassiter and Pixar staff that for the most part he did not interfere with the animators and creative staff and focused instead on protecting them (particularly from Disney) so that they could focus on animating, even as Jobs continued to hemorrhage immense amounts of money in the early years. After some difficult years with Disney—particularly with executives Michael Eisner and Jeffrey Katzenberg—the success at Pixar eventually led to not only being purchased by the company, but to both Jobs and Lassiter becoming high-ranking members of the Disney Company. Pixar’s spectacular success notwithstanding, Jobs’ third act, of course, would prove his greatest—his triumphant return to Apple at a time when it was at the verge of collapse, which eventually led to the development of the iMac, the iPod, the iPhone, and the iPad. With each successive product, Jobs proved that a closed, proprietary system could succeed and that consumers were willing to pay a premium price for it. Yes, the success of these products was a triumph of design but they were also a triumph of marketing. 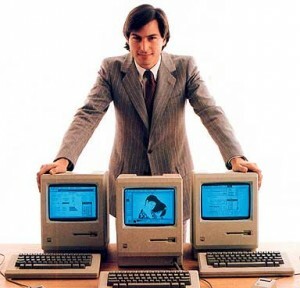 Jobs designed products that many people not simply saw as useful, functional devices, but an extension of themselves and a reflection of lifestyle. So while Isaacson’s book is biography, it also provides insight into design, marketing and the cutthroat politics of business, especially in one as competitive as the computer industry. Isaacson’s book does not cover up Jobs’ personal shortcomings, nor does he excuse or justify them. 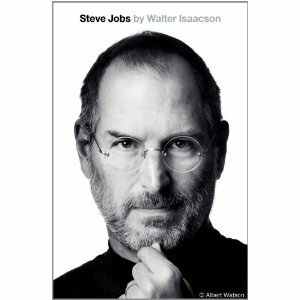 But the book nevertheless is a celebration of Jobs’ significant contributions as a visionary inventor and innovator who found a way to merge science and technology with the arts and entertainment. Along the way, he re-invented and/or up-ended a diverse number of industries and fields, including personal computers, cellular phones, the music industry, and more.